The United Soybean Board, created by the Farm Bill of 1990 to manage and direct the National Soybean Checkoff, is dedicated to spreading knowledge and understanding of the soybean. By growing, harvesting, and processing plants on its own certified organic farms, Nutrilite is able to include a wide array of high-quality plant nutrients in its products. Select editorial team chosen to cover this year’s Natural Products Expo West 2014, the world's largest and premier tradeshows for the natural, organic and healthy products industry. Business-to-business connections from supply to shelf. 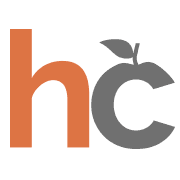 Health Corps® is a 501 (c) 3 founded in 2003 by heart surgeon and Daytime Emmy Award-winning host Dr. Mehmet Oz and his wife Lisa to combat the childhood obesity crisis. HealthCorps® is building a nationwide movement to shape a new generation. Pioneers of creative science, we exist at the nexus of insight and innovation. The story behind Nutrilite’s products. Vans Foods has been a health advocate for health conscious families for many years. We are proud to have them as a sponsor. Copyright © 2014. Healthgal, Inc. All rights reserved.